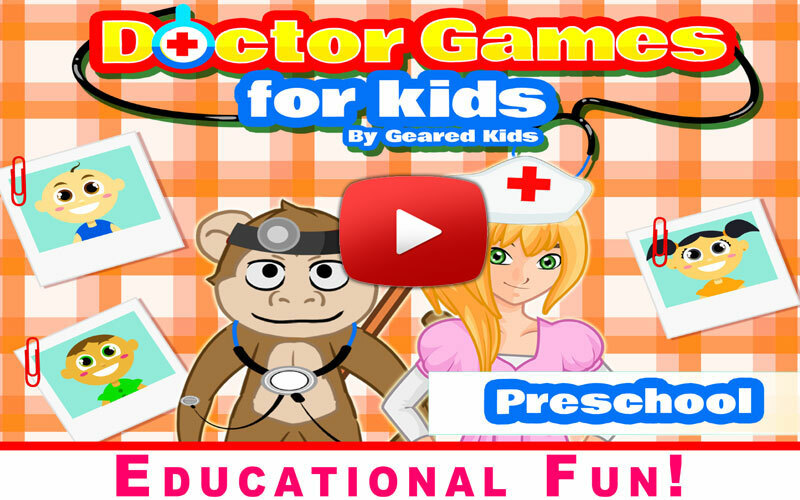 Our Educational games have been specially designed to make the learning experience as much fun as possible! We cover key concepts such as Math, Sorting, Counting, Colors, Numbers & much more! SORTING - Sort the healthy and unhealthy food! COLORS - We have a number of educational mini-games inside of this app which teach colors through fun and innovative challenges! MATCHING - Match the Doctor's tools to their outlines! Geared Kids - Educational fun!